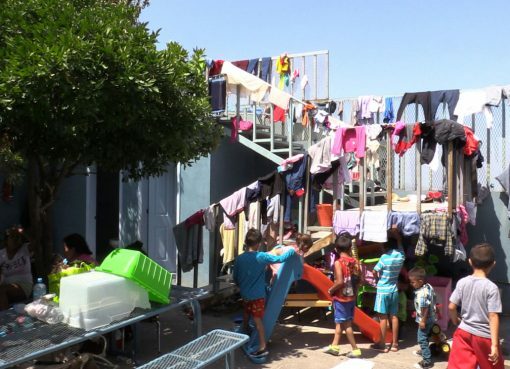 Seeing the sight of Israel slowly emerging from the mist on the horizon has remained deeply ingrained in Lee Lubarsky’s memory more than two decades after going on a six-week summer trip with USY in 1996 with other young Jews to Italy and Israel. The same goes for when he celebrated Shabbat next to Jerusalem’s landmark Montefiore Windmill and when they hiked along the iconic Masada Snake Path. But little did the Peabody, Massachusetts, native know that joining him on the voyage would be a 16-year-old girl from Queens, New York, who would end up becoming his wife. 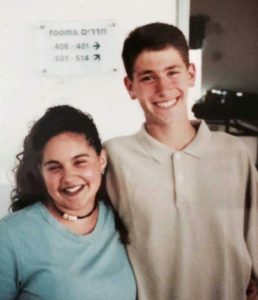 Neither Lee nor Lauren recalls exactly where they were when they first met on the 1996 USY Pilgrimage. The couple had a few friendly conversations and even took a photo together in Jerusalem, but the two went their separate ways after the trip concluded. “During the trip, we were really just friends and after it was over, I went back home to Queens and Lee went back to Massachusetts,” Lauren says. The couple briefly re-united a year later in Boston during a mini reunion with those from the group, but more than seven years would pass before they would cross paths again. Before Instagram, Twitter and Facebook, there was Friendster, a social networking website created in 2002 that was used by people to discover music, post photos and more. Although the platform never saw the same success as its other counterparts, it was critical in helping re-connect the two former USYers. Seven years is a long time to not be in contact with someone. 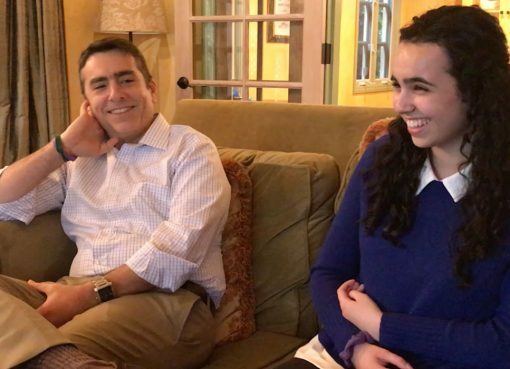 When Lauren and Lee last met a year after their summer with USY, both were fresh out of high school, cell phones were just starting to gain popularity and computers were only in 36 percent of householders. Fast forward to 2004, and things were significantly different. 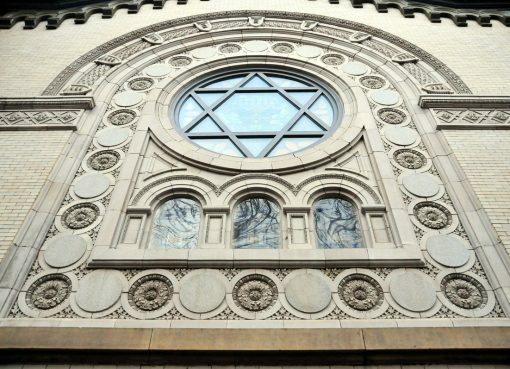 It didn’t take long for the couple to discover that the biggest value they shared was their commitment to Judaism. 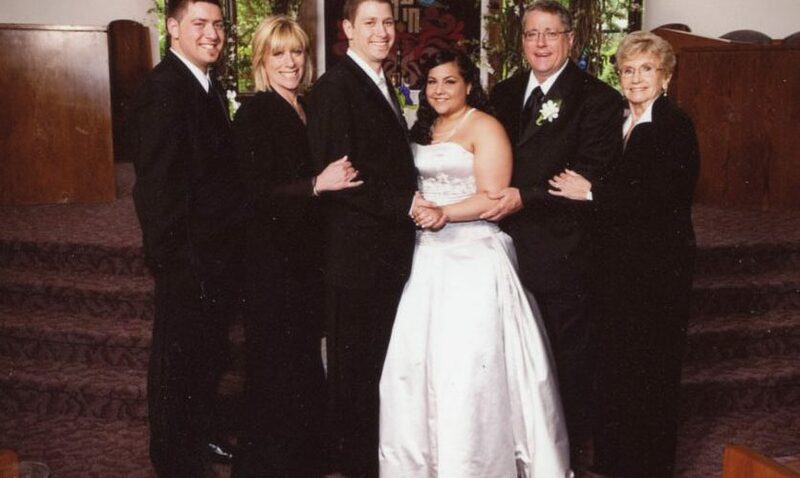 As youths, Lee and Lauren both found it very meaningful to give back to their Jewish youth community. Lee held several leadership positions within USY while also serving on his chapter board, while Lauren was on USY’s Metropolitan New York regional board and served as a divisional president. The two hit it off right away and before long, they were seeing each other on a regular basis. 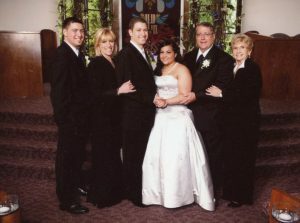 A little more than two years later, Lee and Lauren were engaged and married by 2009. “Both of us knew early on that this was the person we wanted to be with,” Lee says. 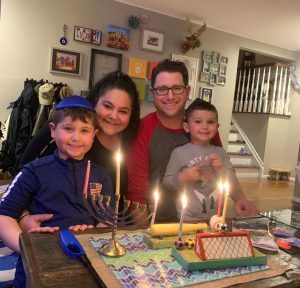 Now residing in Plainview, New York, with their two sons, Max (7) and Drew (3), the Lubarsky family is extremely involved in their Jewish community and have worked hard to instill Jewish values and meaning in their children, notably tikkun olam. Go on your own Israel pilgrimage with USY.